Mr. Michael Brennan, Managing Director of Killarney Hotels Ltd. has been General Manager of The Europe Hotel & Resort since 2002. During his time with the hotel, it has been honoured with multiple national and international awards. Mr. Brennan is from Ireland’s capital city, Dublin, but has loved calling Killarney home for almost 20 years. 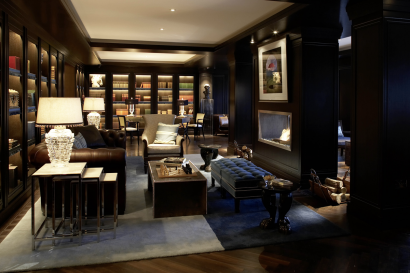 Member of Preferred Hotels & Resorts – L.V.X. 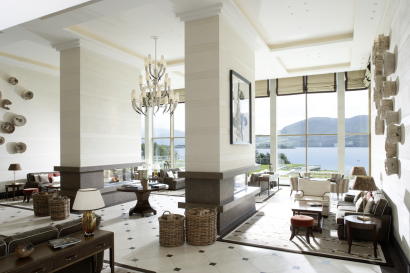 During its seasonal winter closure (Dec – Feb), each year the hotel heavily reinvests in its interiors, exteriors, services, amenities and gardens to ensure that the hotel is the epitome of excellence for our valued guests. The personal and professional development of our team is essential and an area that we focus on each year. The Europe Hotel & Resort opened in 1961 and was the first of the three Irish hotels built by founder Dr. Hans Liebherr who first came to Ireland in 1958. When he arrived in Killarney, he immediately fell in love with the area and always retained a great affection for Killarney and its people. The initial idea was simply to build a guesthouse to entertain customers coming to purchase cranes from the new Liebherr Crane Plant in Fossa and there were no major plans for hotels in Dr. Liebherr’s early days in Ireland. However, given that the site commands such panoramic views of Killarney’s tourist attractions, it was deemed the most majestic location for a luxury hotel. “Hotel Europe” opened its doors to the general public in 1961 with less than 100 bedrooms and with several improvements and extensions in the interim years, following a major redevelopment of the hotel in 2008, it re-branded as The Europe Hotel & Resort and has to date (February 2018), won no less than 38 prestigious awards and now boasts 187 bedrooms and suites, Ireland’s premier Spa, the 50,000 sq. ft ESPA at The Europe and a purpose built, state of the art Conference & Events Centre. The hotel underwent a complete renovation between 2008 and 2012. During that time all public areas, restaurant and bedrooms were renovated along with the building of a state of the art Conference and Events Centre, 50,000 square foot Spa and enhancements to the gardens and carpark. Each year during the hotel’s seasonal winter closure, extensive reinvestment is committed to the hotel to ensure it is in peak condition for our guests. Between 2008 and 2012 the hotel was extended. ‘Cead Míle Fáilte’ or ‘One Hundred Thousand Welcomes’ – our long-standing, experienced and professional team are on hand to ensure an exceptional experience for our guests with genuine warmth and personality. We are truly dedicated to our core values: We are a trustworthy partner – we are innovative – we are independent – the highest quality in everything that we do – Our team are a key factor in our success – we accept responsibility. 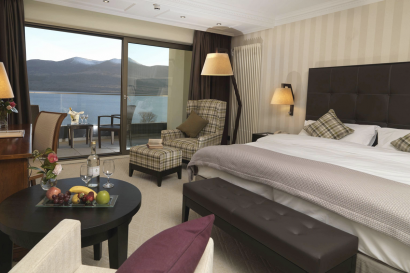 Overlooking 25,000 acres of National Parkland and Ireland’s highest mountain range, The Europe Hotel & Resort lies on the shores of Killarney’s famous lakes, is adjacent to Killarney Golf and Fishing Club and only 5 minutes from the town centre. 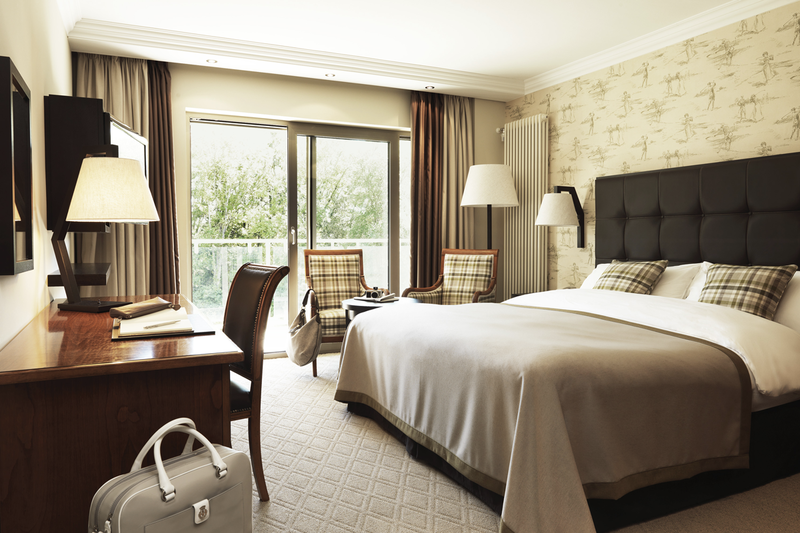 Surrounded by pristine, breath taking nature and a love for detail, guests are invited to stay, relax and explore the very heartland of Ireland’s majestic, wild and spectacular countryside. Located on The Ring of Kerry, in Ireland’s spectacular southwest, it is the perfect gateway for exploring Kerry’s iconic attractions such as Killarney National Park, The Gap of Dunloe, The Wild Atlantic Way (the world’s longest defined coastal touring route), Skellig Islands and Dingle Peninsula.Activity lovers will be enthralled by the proximity of the famous Ring of Kerry and Dingle Peninsula’s walks, drives and cycling routes. Leisure seekers will relax and unwind on one of the county’s numerous Blue Flag beaches. History and heritage is prevalent everywhere you go and the county’s enchanting towns and villages will delight and reveal hidden secrets at every turn. Foodies will bask in the epicurean delights of Kerry’s artisan farmers markets, food festivals and gourmet dining restaurants. 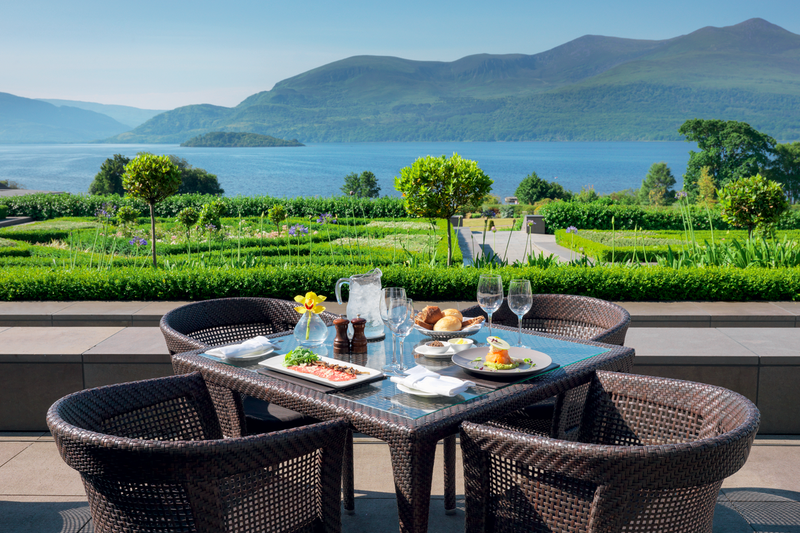 The hotel’s owners also own one of the largest farms in our region, Co. Kerry. We are delighted to feature most of our own beef and lamb on our restaurant menus. We have a wonderful outdoor playground for children, along with indoor tennis courts and horse riding on site with our own Austrian Halflinger Ponies (all complimentary). 1 x One Bedroom Penthouse Suite| Size:73.27 square metres / 786 square feet| Views: Lake, Mountains and golf course. Golfside Rooms(x 58) & Superior Golfside Rooms(x 10) | Size:36 m2| Views:Garden views at the side of the hotel some Superior Rooms overlook the 17th Green of Mahony’s Point Golf Course. 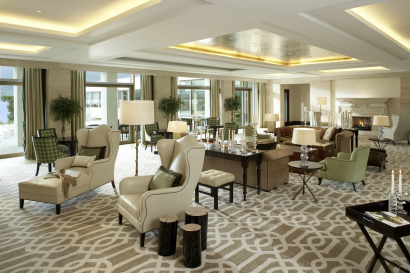 The hotel’s elegant accommodation, comprises of 187 bedrooms and suites, mostly with private balconies. Ireland is home to some of the world’s finest produce and artisan food producers. The Irish food experience is often an unexpected highlight for most visitors. 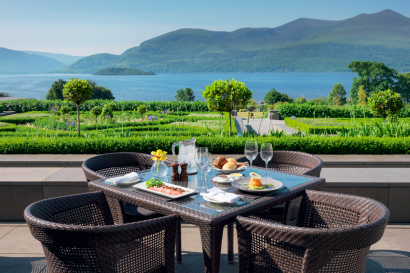 Harnessing the natural bounty of the Atlantic Ocean and lush green pastures that Ireland is famous for, The Europe Hotel & Resort’s team of Chefs expertly craft delectable dishes using fresh, local, sustainable ingredients. 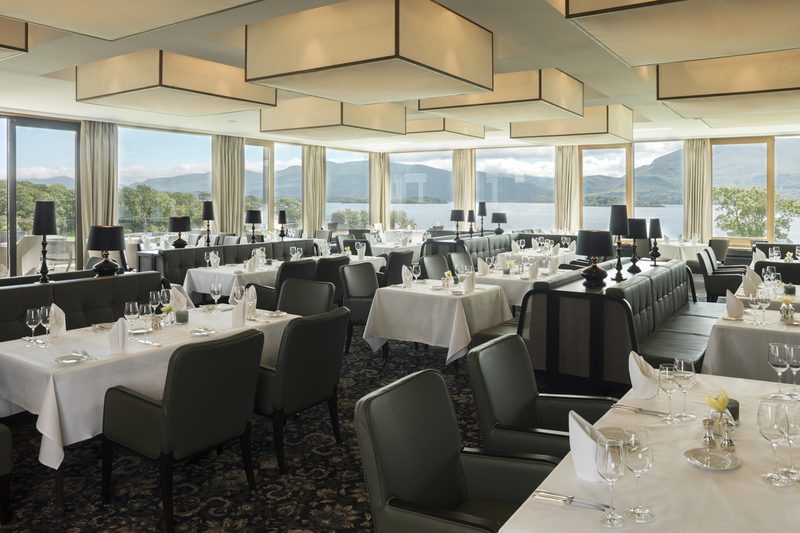 Under the expert guidance of our Executive Head Chef Alex Nahke, the Panorama Restaurant and the Brasserie Restaurant offer a spectacular epicurean experience paired with some of the most enviable views in Ireland, with vistas of the Lakes of Killarney, mountains and gardens stretching before you. The restaurant was named ‘Best Restaurant in Kerry’ in 2014, 2015 and 2016. The Europe Hotel & Resort is home to the multi award winning ESPA at The Europe. This 50,000 sq. 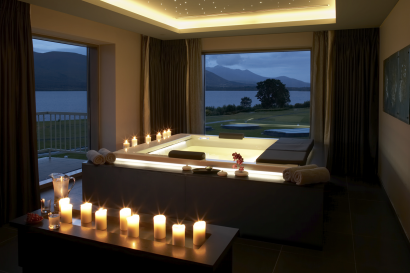 ft. stunning resort spa on the shores of Killarney’s Loch Lein, captures the beauty and serenity of our incredibly enchanting corner of Ireland. 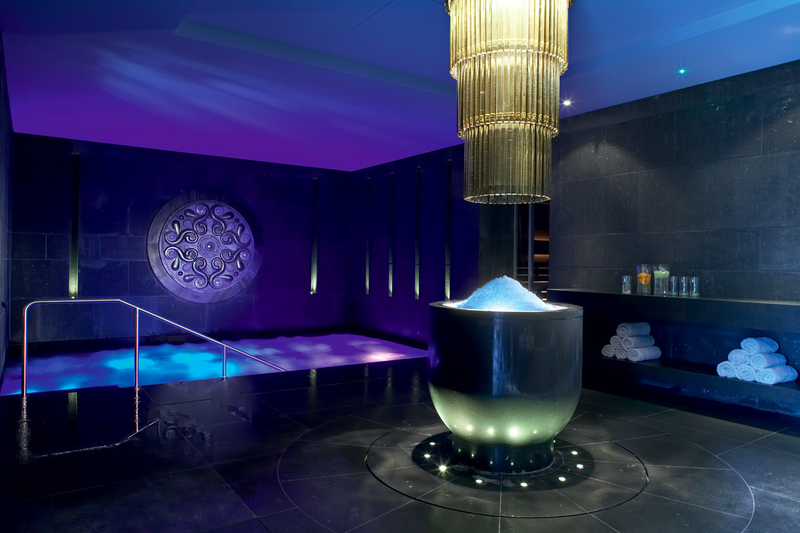 Proud winner of Ireland’s Five Star Hotel Spa Experience in 2018, the spa has been designed to be in perfect balance with the nature of its environment, with each relaxation space created to take advantage of the landscape, a peaceful haven in which to awaken the senses and relax the mind. It is a unique space unlike any other in Ireland. Places of extraordinary natural beauty have always inspired original thought. The Europe Hotel & Resort’s unique setting on the shores of Lough Lein is one such place, making it the perfect location for conferences, seminars, workshops, special celebrations and gala events. 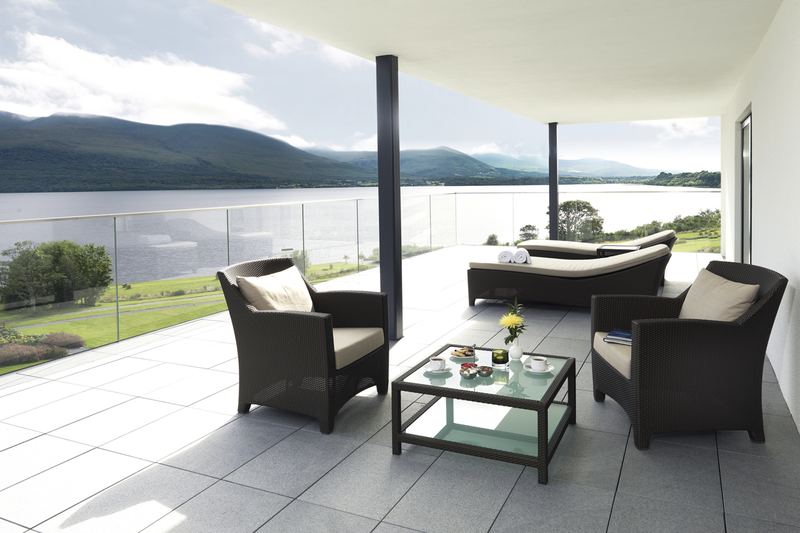 The purpose built, Conference & Events Centre offers state of the art facilities overlooking incredible natural views. Each of the 8 meeting rooms including The Ballroom offers ample natural daylight with floor to ceiling windows, is equipped with its own individual sound system, DVD and CD player, wireless and wired microphones, ceiling mounted LCD projector and automatic screen. 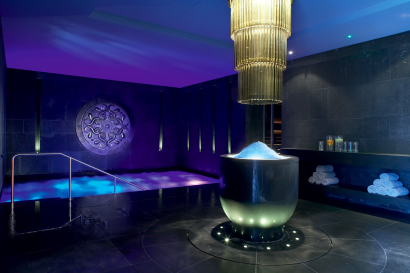 The hotel offers an unrivalled array of complimentary activities and amenities including access to the Active Level of ESPA which includes 20m indoor pool, outdoor vitality pool, salt water pool, sauna, steam room, lifestyle showers and relaxation areas. 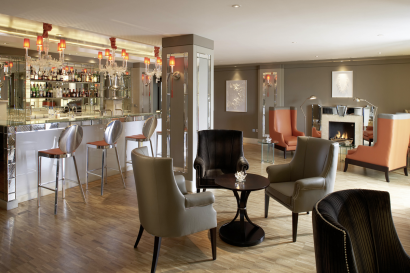 The hotel also offers complimentary horse riding and indoor tennis on the grounds and WiFi throughout. Additionally, we can offer heavily reduced green fee rates for Killarney Golf & Fishing Club.